I grew up in Mumbai (The capital city of Indian state Maharashtra) . I have a special liking for the Maharashtrian cuisine which is very flavorful. 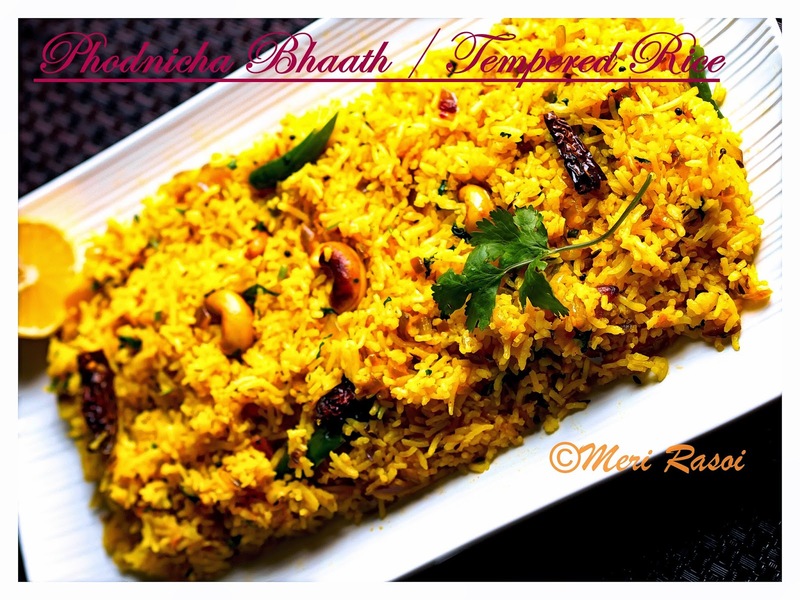 Today I bring to you a simple Maharashtrian rice dish called "Phodnicha Bhaath". 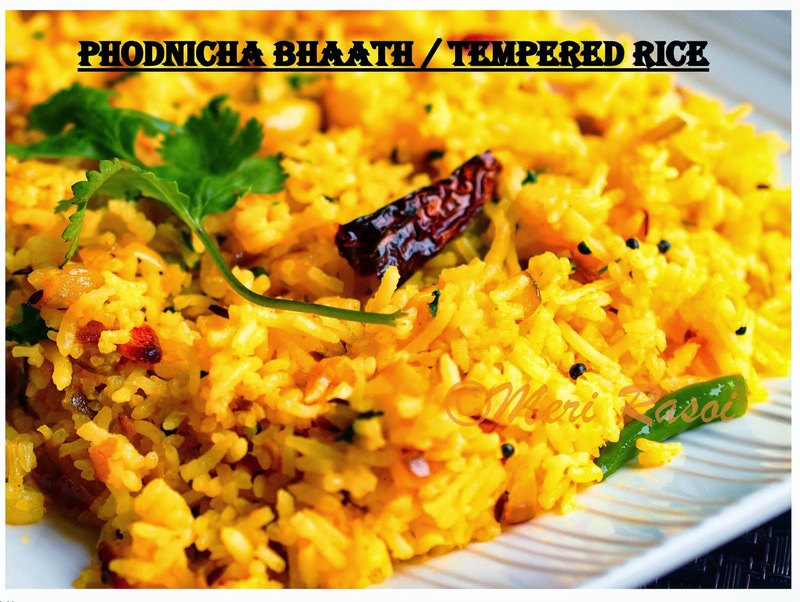 "Phodni" in Marathi means tempering or tadka or vaghar and "Bhaath" means Rice. 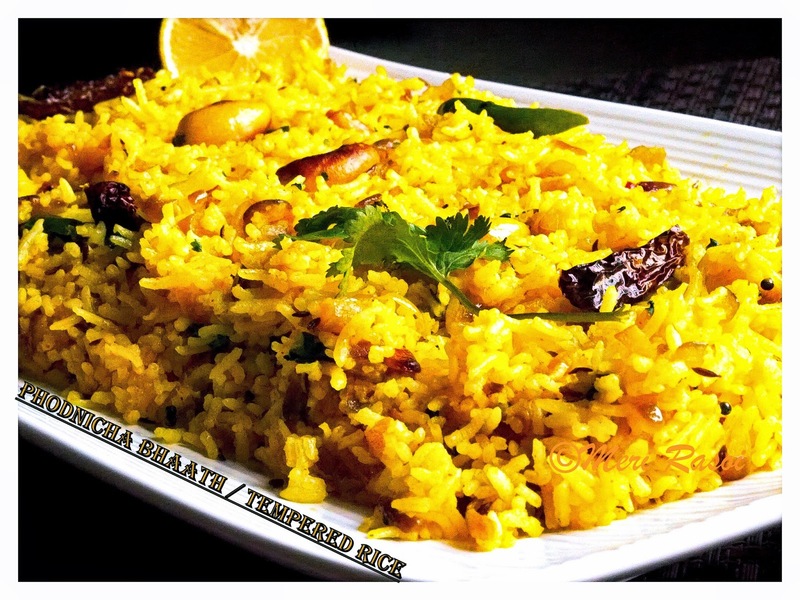 In this dish, rice is tempered with a lot of garlic, onion and spices.It works well when you have to use leftover rice but believe me, this dish tastes so good that sometimes I cook fresh rice just so that I can make this dish:) Just serve it with a raita or just plain yogurt and you will have a delicious meal on the table. Since it is so easy to make, it also serves as a great lunch box option. Heat oil in a thick bottomed pan. 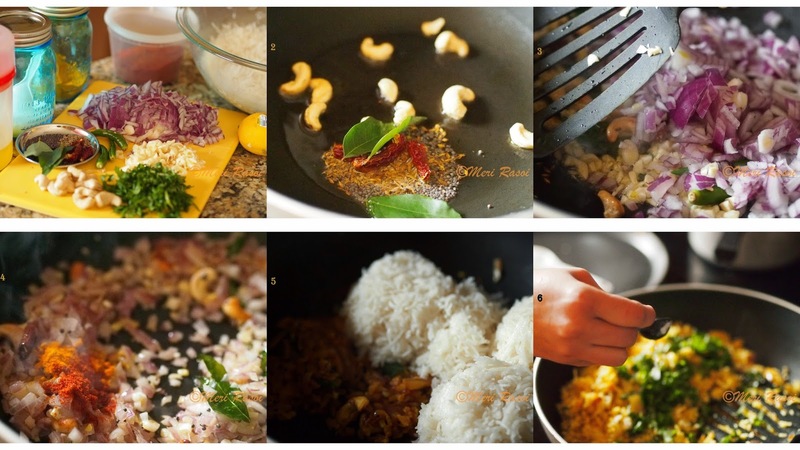 When the oil is hot, add the cumin seeds, mustard seeds, dry red chillies, curry leaves and cashew nuts. Fry until the seeds splutter. Add the chopped garlic, onion and green chillies and saute. Fry until the onions turn translucent. Add in the turmeric powder and red chilli powder. Add the cooked rice and mix well. Also add the salt at this point. Lastly add, the lemon juice and the chopped cilantro and give it a final mix. Serve hot with raita or plain yogurt. 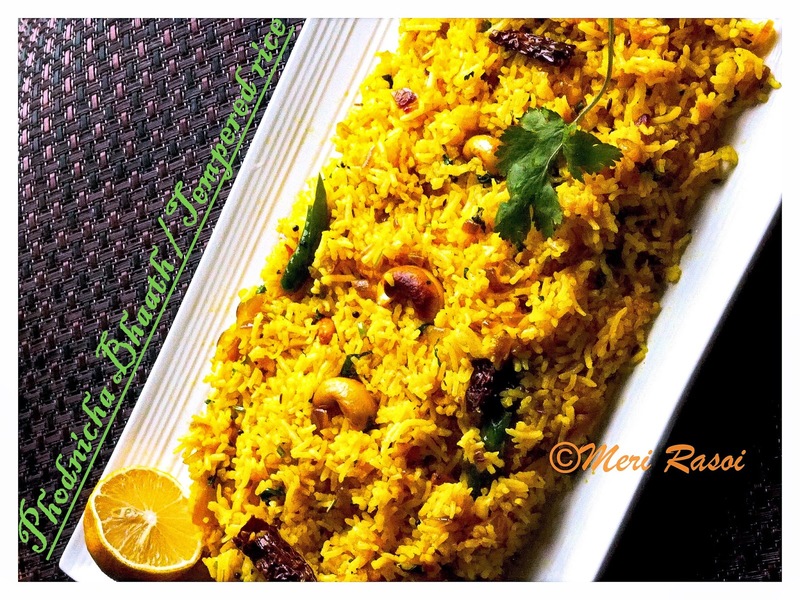 A very simple yet scrumptiously delicious rice dish. I Love dishes which make use of loads of garlic. Yummmm. Ty so much dear:) Garlic and Onions are my favorite too:) You will always find them in my kitchen:)I might run out off rice or lentils but i always have abundant supply of garlic and onions;) Hope you had a good weekend hun!! This rice is my favorite too, but ur recipe score high, as loved use of nuts. I will surely try this way very soon..
My recipe is simple with few ingredients like mustard seeds, curry leaves, green chillies, red chilly powder, turmeric and lemon juice.